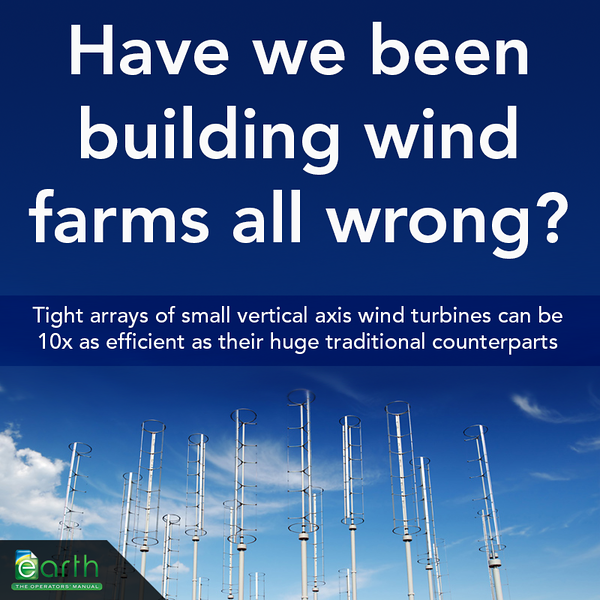 The trend with commercial wind farms has been to focus on building bigger, taller horizontal axis wind turbines. But it turns out we may be going about it the wrong way. Researchers from Caltech suggest that an array of much smaller, tightly packed vertical axis wind turbines, rotating in opposite directions to one another can be as much as 10x as efficient, while using less space.